At Valecraft, many of our customers love the ability to choose the features and finishes that give their home a personalized touch. You too can take advantage of this opportunity, unique to us at our Design Centres. Here, you’ll find a wide range of standard and upgradeable features to choose from. Customers purchasing one of our beautiful properties can benefit from visiting one of our Design Centres to add their own special touch to many design elements of their new home. 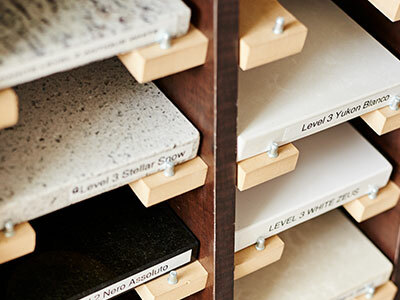 Mix and match colour schemes and choose the premium materials that will be used in the interior design of your new home at one of our Design Centres. With a vast array of finishes, special features, and long-lasting design elements readily available for you to view and consider, there are many design possibilities of your new home. Whether you’re going for a calming and more sophisticated look or an energy rich with excitement and vibrant colours, we can help make it happen while maintaining our standard for premium quality and service with excellence – all we need is for you to swing by for a visit and get creative with our design team! It’s bound to be a fun and exciting experience, if we may say so. 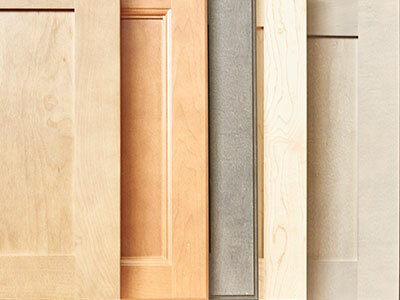 We’ll consult with you and advise on suitable materials, tones, and finishes. Valecraft Design Centres are located within each community’s Model Home and Sales Centre. See below for contact information. Tour our various models for some great design ideas! Open 7 days a week by appointment only. We offer many different ways for you to customize the design of your home, including selecting finishes and décor options. Before we reach the stage where you’re free to browse and purchase upgrades such as luxurious fireplaces, high-end bathtubs or our popular quartz countertop options, it’s a good idea to have a chat with your banking representative about setting up an upgrade budget. Some of our customers like to leave room in their budget to add more upgrades later, and we encourage you to consider doing so prior to your design appointment. A rep from the Valecraft Décor team will reach out to you at a certain point during construction, which can be at a different time depending on which type of home you’ve selected through us. At this point, they will help schedule your visit to one of our Design Centres to begin the customization process, so take some time beforehand to come up with an idea of what appeals to you! Collect ideas, look for inspiration and see what speaks to you as an essential feature of your beautiful new home. You’re more than welcome to visit one of our Design Centres during the week to browse and get an idea of what we have available for you to work with. To help get you started, we have accumulated our top 10 suggestions that add value. Check it out today! Once we’ve arranged for a two-hour appointment and you show up for the big day, we’ll guide you through the process of choosing the finishes and design elements that best match your taste and lifestyle. Our design consultants know the ins and outs of our various home models, possess a solid understanding of the benefits of all the materials we offer, and can confidently answer your questions and address your design concerns. Simply put, they’re home design gurus with the experience necessary to help make your dream home become a reality. You’re going to love this! These are materials and features that are automatically included in the purchase price of your home. For more details and a list of these features, check out Schedule B in your Agreement of Purchase. For more information, speak with your sales representative or the designer we’ve assigned to handle your home. What upgrades add the best value? Many clients come to us wondering how to get the very most out of the many Design Centre upgrades available. To help you out, we’ve come up with a handy blog about the top 10 most common upgrades to add instant value to your home! Check it out here. Who do I speak with about structural changes? It’s important to know that any structural changes must be finalized with your Sales Consultant before your first Design Centre appointment. When you meet for the finalization process, you will review framing options as well as flexible plans that allow for expansion or alterations as needed. *Be aware that select interior and exterior elements may be unavailable based on the building status of your home. We’ll help to coordinate and outline important cut-off dates and schedules to help you prepare for your first Design Centre appointment. When should I go to a Valecraft Design Centre appointment? Once you’ve signed an Agreement of Purchase and Sale, our Design Centre team will contact you to book an appointment. We require that you choose your interior colours within 14 days of finalizing the conditions of your purchase. It’s important to know that appointments book up quickly and, if you reschedule, it could affect the timeframe for your selections or impact availability. In turn, this could lead to delaying the closing date of your home, so we advise that you plan ahead and call us in advance if you’re running late or need to schedule. We’re glad to help make the process easy and keep it exciting! What do I bring to my Design Centre appointment? Try to decide upon a design style that you want – perhaps try to glean inspiration from photos online or in magazines or consult with your household on what everyone would like to see in your new home. Deciding on whether you’d like a modern or traditional looking kitchen, for example, should be done before your first visit. Visit our model homes to get an idea of what we can help you create. We have some beautiful and inviting ones that can be found across Ottawa, featuring a range of unique colour schemes, layouts and styles, and they’re even fully furnished and decorated. If you see something you like, take a picture and save it! This will give us something more tangible to work with and will help make your Design Centre appointment even more productive. Take a look at the samples we have on display at our Design Centres, which can be found within most sales centres and are therefore open every day of the week. We indicate whether samples on display are standard or upgrades to help you decide on what’s best for your needs and budget. What kind of lifestyle do you and your household live? Try to figure out which must-have features and décor items you want. Also, consider who will live in the new home – do you have children or pets? Or, do you cook a lot at home and often host big gatherings? These factors all play a role in the design process, as it’s important to consider what is practical for your household’s needs and lifestyle. If you’ve only got a budget for a few select upgrades, don’t worry: A prioritized wish list is the ideal solution! Focus on what you absolutely need, and if you’re stuck, consider checking out our blog entry on the top 10 upgrades that can add instant value to your home! Why do I need to respect the décor deadline? Valecraft determines the décor deadline to allow for our team to have enough time to implement the features and upgrades that you select. We apply thoughtful, attentive care to every element of the design and building process to not only meet your expectations, but to exceed them, and allowing for sufficient time ensure that this happens with every client to the best of our abilities. Climate conditions and other factors can influence such deadlines as well. Finish and upgrade installations are scheduled between the site supervisor and the trades to meet your closing date. Please note that any delays in finalizing colours, styles or upgrades can affect your closing date. Why can’t I negotiate pricing of décor items? We want to always be fair and compassionate with our pricing to reflect the best possible value, and we are fully committed to treating every purchaser with equal fairness and consistency. In order to do that, we need to charge everyone for the same price. Why do upgrades cost more than at the local home renovation store? Working with Valecraft allows you to bypass scheduling headaches and inconsistencies with timing and workmanship by relying on one team to get everything done properly. Independent purchases and installations after a closing date can pose some serious hassles that may impact your satisfaction at home, and we don’t want that to happen. Our upgrades are fully installed for when you move in and often include an extended manufacturer warranty. *Please note that the pricing given at our Design Centre appointments are guaranteed until closing and include the 5.2% Ontario rebate taxes. Can I modify materials or supply my own? To protect you from inadvertently voiding any applicable warranties, Valecraft is contractually obligated to only allow our suppliers and tradespeople to supply and install products during the construction process of your home. We want to ensure you have peace of mind for many years to come with every element of your new property! What if I change my mind about something after the final Design Centre appointment? Should you decide to alter or delete an item, your assigned Décor Consultant will check to see if it is possible. This can depend on the current phase of construction, among other factors. 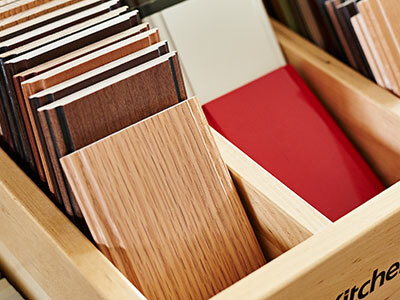 It is important to note that after completing your Colours Documents your file is closed, and materials are immediately ordered to secure their availability for your home. Administration fees will apply should you need your file reopened to make any additional changes, should they be possible. Restocking fees will also be applied, and your closing date may be delayed. We highly encourage you to finalize every design element before closing your file to avoid any issues or extra expenses.